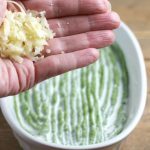 Creamy Cheesy Broccoli Mash with Bacon is a low carb, keto gluten-free side dish and a most delicious way to serve broccoli. 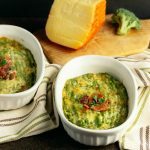 Creamy Cheesy Broccoli Mash with Bacon is pureed broccoli that is made creamy and flavorful with Mahon Menorca Semi-Cured Cheese, butter, garlic, spices and topped with a splash of cream, a little more grated cheese and bacon crumbles. 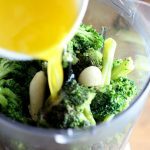 This lively colored, rich and creamy vegetable mash is so comforting and unbelievably tasty that even my picky, broccoli hating, teen son ate this and declared it the only way to eat broccoli! I used Mahon Menorca Semi-Cured Cheese in this dish because of its outstanding flavor and texture. Tender: A soft, yellowish-white colored cheese very little crust. Soft and creamy texture with a milky buttery flavor and an acidulous touch. ( 21- 60 days). 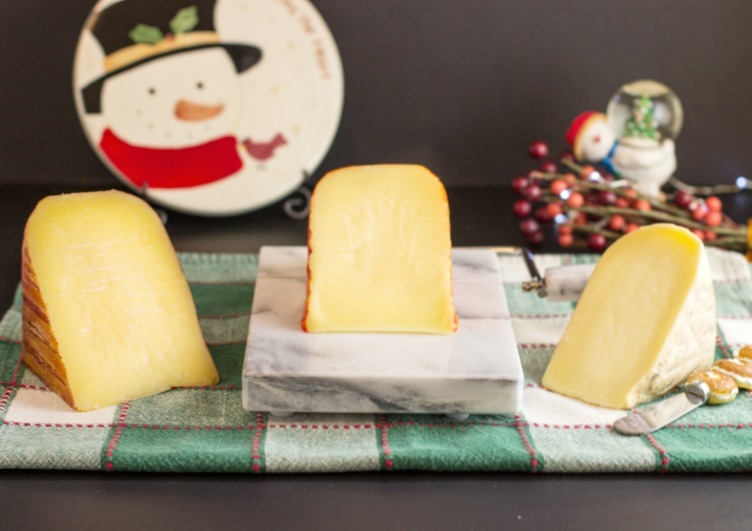 Semi-Cured: A firm but easy to cut cheese with an ivory color and an orange crust. 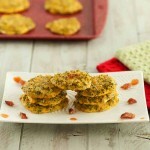 It has a milky tasty and more developed flavors with a buttery nutty taste. (2-5 months). Cured: A firm, hard, mature cheese that has a very developed flavor, aroma, and a complex intense aftertaste. Hints of old wood, tanned leather or a wine cellar. A treat for cheese connoisseurs. (more than 5 months). Fairway, West Side Market, Gourmet Garage, Saveway, Wholefoods, Kroger, Costco, Central Markets, Central and Town & Country Markets. Preheat oven to 350° F (180° C). Chop broccoli into florets. 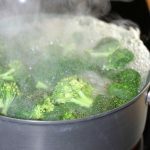 Bring 6 cups of water to a boil in a large saucepan and add broccoli florets. 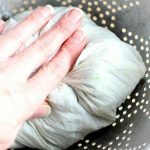 Boil on medium-high for 8 to 10 minutes. 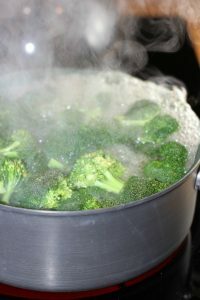 Drain broccoli in a colander. 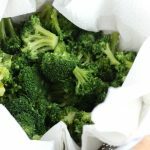 Stack a few paper towels together and dump broccoli onto paper towels. 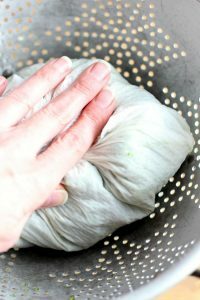 Wrap broccoli in paper towels and press down in the colander to squeeze out any excess water. 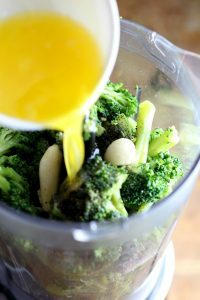 Add to a food processor: the broccoli florets, garlic cloves, sea salt, black pepper, melted butter and ¼ cup of the grated Cheese. 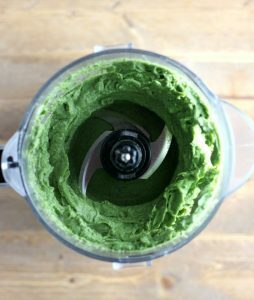 Process until a smooth green paste forms. 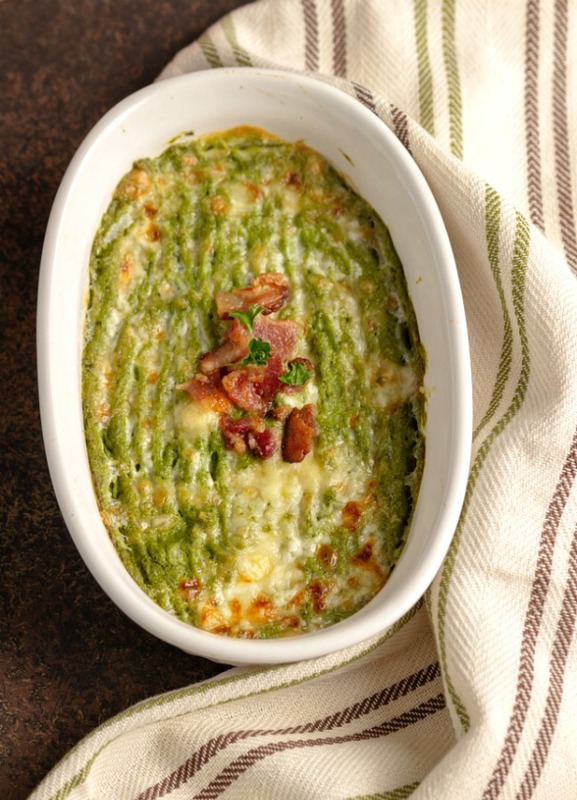 Add the broccoli paste to one 24-ounce shallow baking or au gratin dish (divide into two 12-ounce baking dishes). Spread evenly in the dish and drag a fork along the top of the broccoli mash to form grooves. Drizzle the heavy cream over the top and sprinkle with the remaining ¼ cup grated cheese. Bake at 350° F (180° C) for 15 minutes. Once cook time is done broil on low for 2 minutes to brown the cheese on top lightly. Remove from oven and sprinkle the top with the cooked crumbled bacon. Serve warm. Nutritional Data: Yield: 4 servings, Serving size: 1/2 cup, Calories: 212, Carbs: 3g, Net Carbs: 2g, Fiber: 1g, Protein: 10g, Fat: 19g, Saturated Fat: 13g, Sugars: 1g. 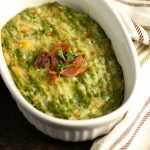 Creamy Cheesy Broccoli Mash with Bacon is a low carb, keto gluten-free side dish and a most delicious way to serve broccoli. 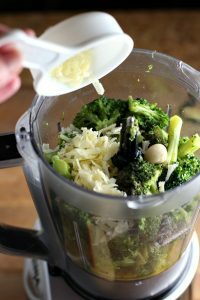 The broccoli is blended into a paste and made creamy and flavorful with Mahon Menorca Semi-Cured Cheese, butter, garlic, spices and topped with a splash of cream, more grated cheese and bacon crumbles. 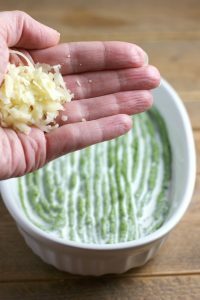 Add the broccoli paste to one 24-ounce shallow baking Au Gratin dish (or divide into two 12-ounce baking dishes). Once cook time is done broil on low for 2 minutes to brown the cheese lightly. Remove from oven and sprinkle the cooked crumbled bacon over the top. Serve warm. Thank you so much, Nicole, I’m a big fan of your work and gorgeous photos!! This looks DELISH!! Love this sort of yummy cheesy broccoli dish. Will make it! This dish looks heavenly, and I’m picky about how I eat my broccoli! My hubby loves this veggie too. Gonna have to make it for him, I’m sure he’ll love it. Can’t wait to try it. This broccoli mash sounds delicious. Definitely, something I can see myself enjoying with my family. I also like the added touch of bacon. 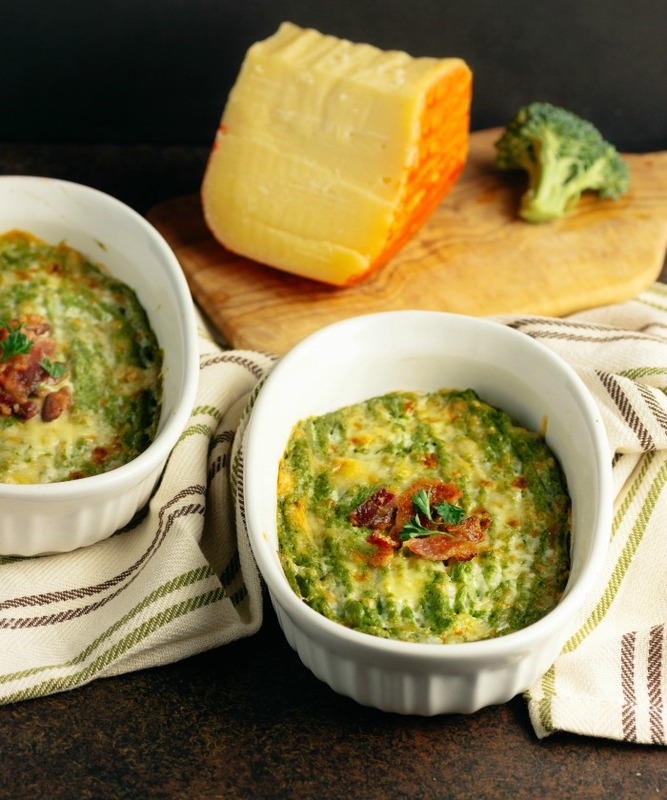 Oh my goodness this cheesy broccoli mash looks just amazing! Pinning to make for our next holiday meal! 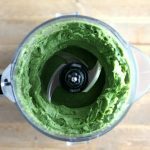 Oh my goodness this looks amazing and definitely the perfect way to eat loads and loads of veggies! Thank you, Kari. Yes, you end up eating more broccoli that you otherwise would. Thanks, Jennifer, he is most suspicious of all green veggies, lol. I make tons of mashed cauliflower and sweet and white potatoes, but I have never thought of broccoli. This looks so good and i will definitely be trying this. And double bonus – broccoli is the only vegetable I can get all five of my kids to eat without someone crying…cheese on it? Even better!! This cheese sounds so good! I’ve never tried it. My family would love this dish. Thank you, Annemarie 🙂 The cheese is amazing! 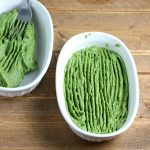 I didn’t even know you can make a mash with broccoli but now I have to try this out! 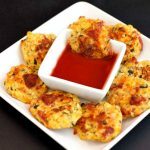 What a delicious low carb side dish. 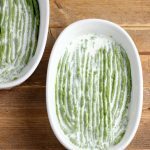 It’s like a creamy puree of broccoli and very delish! This sounds so yummy! But that cheese! I’m super intrigued. 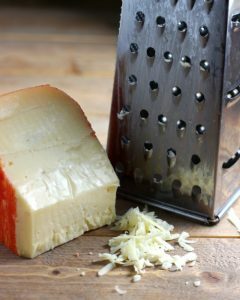 Cheese makes anything taste fabulous! Thank you, Cynthia! I’m obsessed with the Spanish cheese. It absolutely the best cheese! 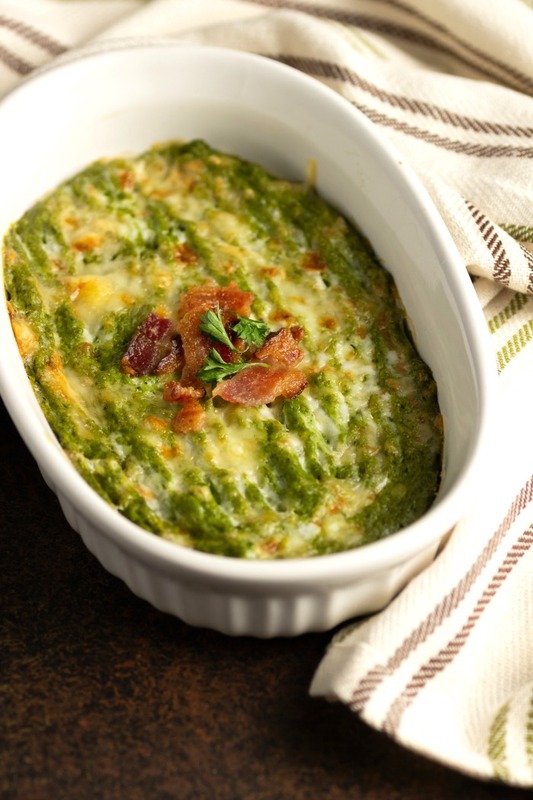 Oh my goodness, you definitely can’t go wrong with a broccoli/cheese/bacon combo! Yum! 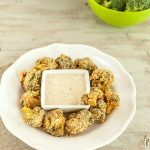 I am always looking for ways to jazz up broccoli..this looks perfect! Oh gosh that cheese is just EVERYTHING! Thank you for the easy to follow step by step! 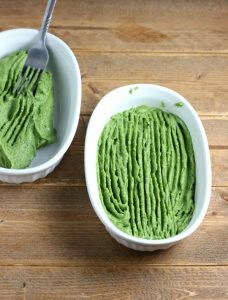 I make a lot of mashed potatoes but never thought to do it with broccoli! This looks delicious cannot wait to try it!